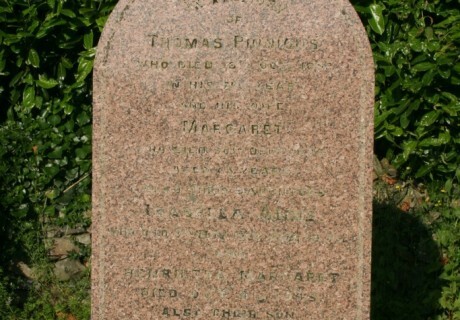 In memory of Thomas Pinions who died 18th Oct. 1892 in his 71st year and his wife Margaret who died 30th Decr. 1894 aged 63 years. Also their daughters Isabella Anne who died 3rd Nov. 1937 aged 78 yrs. and Henrietta Margaret died Oct. 4th 1945. 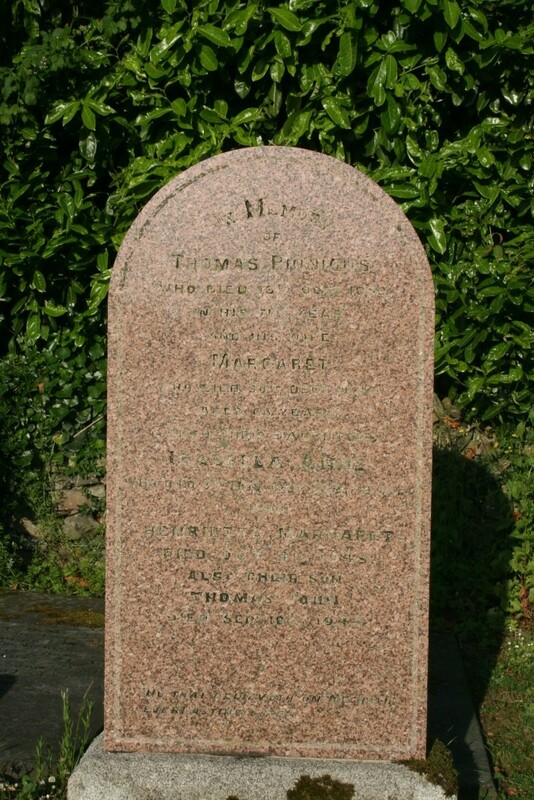 Also their son Thomas John died Sep. 10th 1947 .